Questions are an essential part of any conversation, and being able to properly formulate a question in French is an extremely important part of your learning. 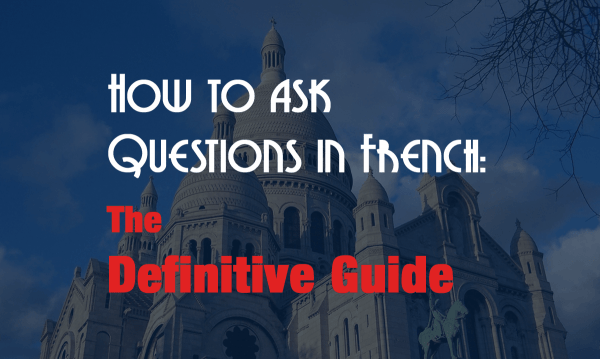 In this article, we will look into the different ways that you can ask your questions using the French language. Il est arrivé. – He arrived. Il est arrivé? – He arrived? C’est vrai. – That’s true. C’est vrai? – Is that true? Vous aimez la France. – You like France. Vous aimez la France? – Do you like France? Another simple way to ask a question in French is to add est-ce que in the beginning of a sentence. Est-ce que literally means “is it that” in English, and is inserted before a regular statement to turn it into a question. The rest of the sentence structure stays the same. Tu connais Ingrid. – You know Ingrid. Est-ce que tu connais Ingrid? – Do you know Ingrid? Est-ce qu’il est arrivé? – Has he arrived? You can put any question words right before it in a sentence to further create an even more specific question (not just a yes or no question). Question word + est-ce que + regular statement. More details and examples will be given on this when we discuss the question words later. Inversion, or changing up the structure of a sentence, is the more formal way of asking questions in French. Normally, the subject is followed by the verb, but for the inverted questions, the verb is placed before the subject and then joined by a hyphen. Vous aimez la France. You like France. Kindly note that in this sentence, the subject precedes the verb. Aimez-vous la France? Do you like France? The subject and verb switch places and are linked by the hyphen. Just like in using est-ce que, you can also add a question word before the inverted question to further specify your query. In cases where the tenses consist of two or more words, the part of the verb which comes from avoir or être is the one to be used in the inversion and placed before the pronoun. For verbs that end with a vowel, when used beside the pronoun il or elle, t is inserted between the verb and pronoun, making it easier to say. In cases where you are very sure that the person you are talking to will agree with you, you can add ne c’est pas at the end of the sentence. It is just similar to the English usage of “isn’t it?” or “right?” at the end of a question. Non works the same way. It literally means “no?” and is also added at the end of the sentence. Hein is also similar. It is used just like “eh?” in English, and is often used in informal conversations. Vous aimez la France, n’est-ce pas? You like France, don’t you? Il est arrivé, n’est-ce pas? He arrived, didn’t he? Vous aimez la France, non? You like France, right? Vous aimez la France, hein? You like France, eh? The fifth and last method of asking questions is to use interrogative words. The question words may be placed in the beginning or at the end of the sentence. It can also appear right before est-ce que, or before the inverted subject and verb. Examples: When did you arrive? Quand est-ce que tu es arrivé? Here is a list of the most commonly used question words in French. Tu en veux combien? How many do you want? Comment allez-vous? or comment vas-tu? How are you? Comment tu t’appelles? What is your name? Some French learners often confuse ou (no accent) and où (with accent). The first one means ‘or’ while the second means ‘where’. Example: Pourquoi est-ce qu’il ne vient pas avec nous? Why isn’t he coming with us? Example: Quand est-ce que tu pars en vacances? When are you going on holiday? F/ Qui? Que? and Quoi? These are pronouns which could mean who, whom, what and whose depending on how you use them: to refer to a person or thing, the subject or object, or if it follows a preposition. This is by far the most complicated of all question words, and it would be advisable if you could learn pronouns as well to get a better grasp of this topic. Qui – can be used when talking about people, and is similar to “who” (subject) or “whom” (object) in English. Qui est-ce qui vient? Who's coming? 3. Que and quoi are used when talking about things and could mean “what?” The difference is, you use quoi when it follows a preposition. After preposition quoi? what À quoi penses-tu? 4.Quel, quels, quelle, or quelles? Quel can mean who? Which? Or what? It can be used together with a noun, or as a noun substitute (pronoun). On the other hand, que and quoi can never be used together with a noun. Quel est ton chanteur préféré? Who's your favorite singer? Quelle est ta couleur préféré? What's your favorite color? 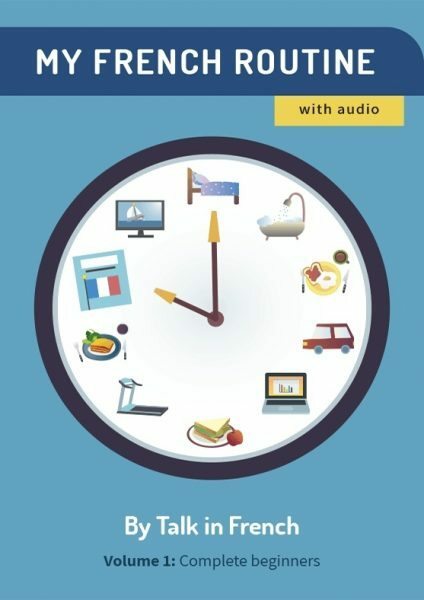 Quelle heure est-il? What time is it? Quels sont tes chanteurs préférées? Who are your favorite singers? Quelles sont tes couleurs préférées? What are your favorite colors? G/ lequel? laquelle? lesquels? and lesquelles? lequel (masculine singular) which one? lequels (masculine plural) which one? laquelle (feminine singular) which ones? lesquelles (feminine plural) which ones? Laquelle de ces valises est à Fred? Which of these cases is Fred’s? There are two ways of answering yes to a question in French: You say oui as a response to an ordinary question, or you say si if the question has a negative expression in it, such as ne… pas. Just like in English, pardon? is used to ask a person to repeat what he or she just said. You can also use comment? or quoi? to ask “what?” but same as in English, this is considered very informal. If you need clarification on this topic, do not hesitate to contact us in the comment section.